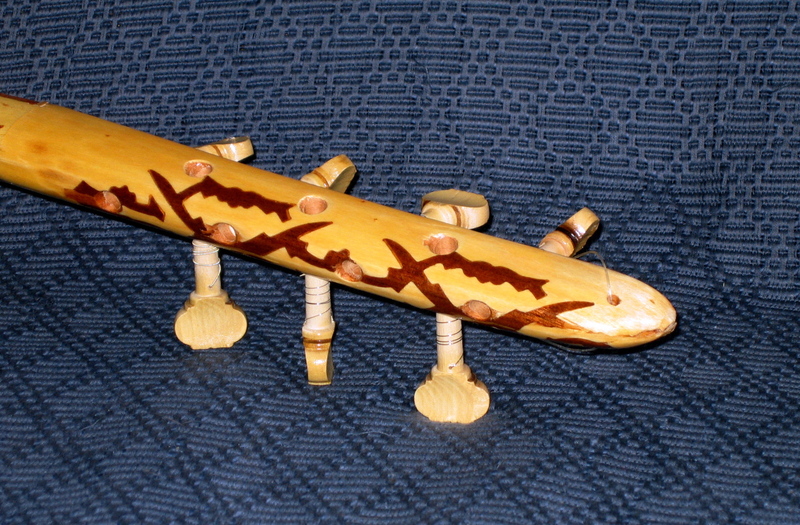 I got my saz a few years ago as a gift from my dear wife, who brought one home from Istanbul, where these instruments are relatively inexpensive. 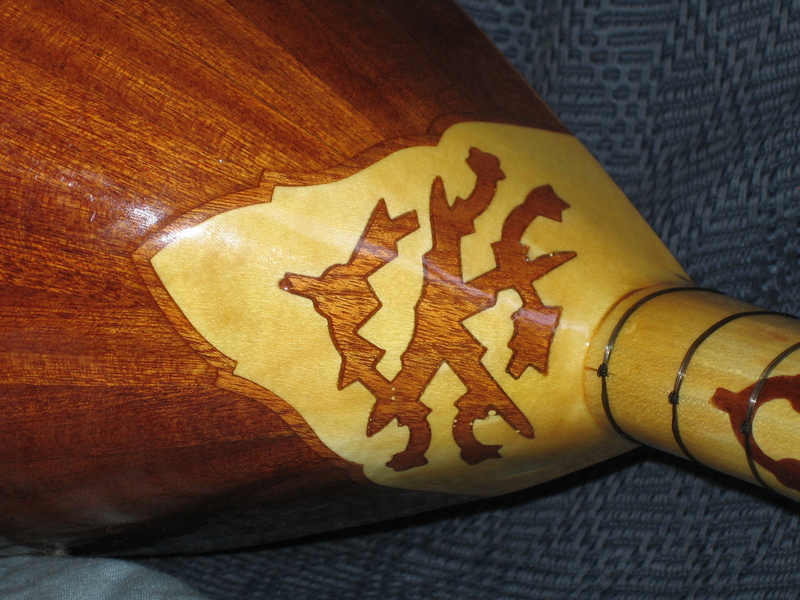 I’m not 100 percent sure what different kinds of wood went into my baglama, but the long neck seems to be made from juniper, richly inlaid with pieces of walnut. 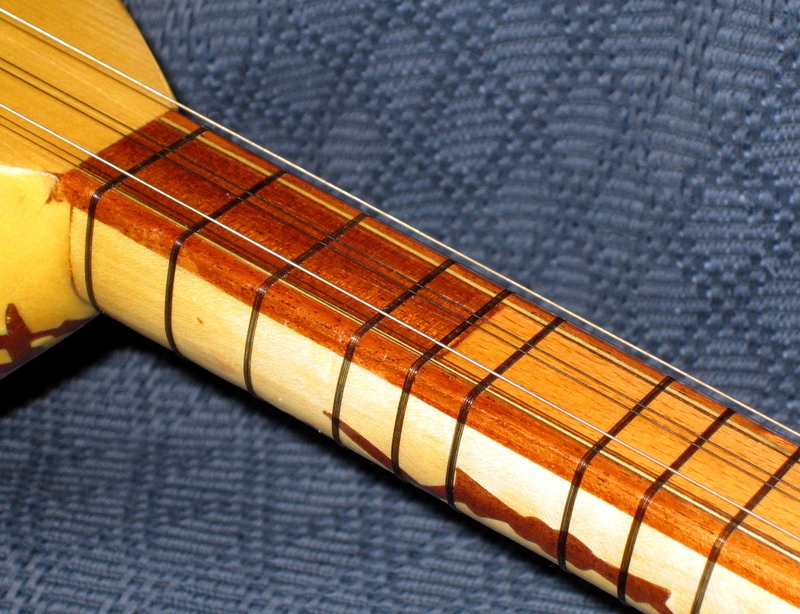 The ”frets” on the beech fingerboard are made of tied fishing-line. 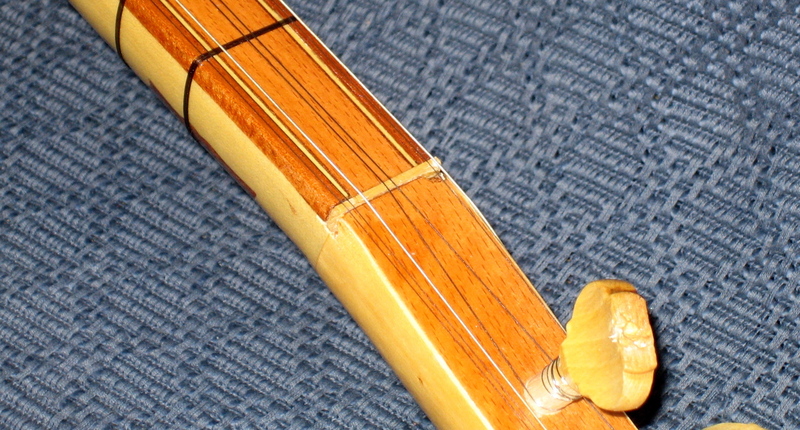 My baglama saz is a seven-string instrument with two ”low” strings (one is wound), two middle strings and three ”high” strings (one is wound). 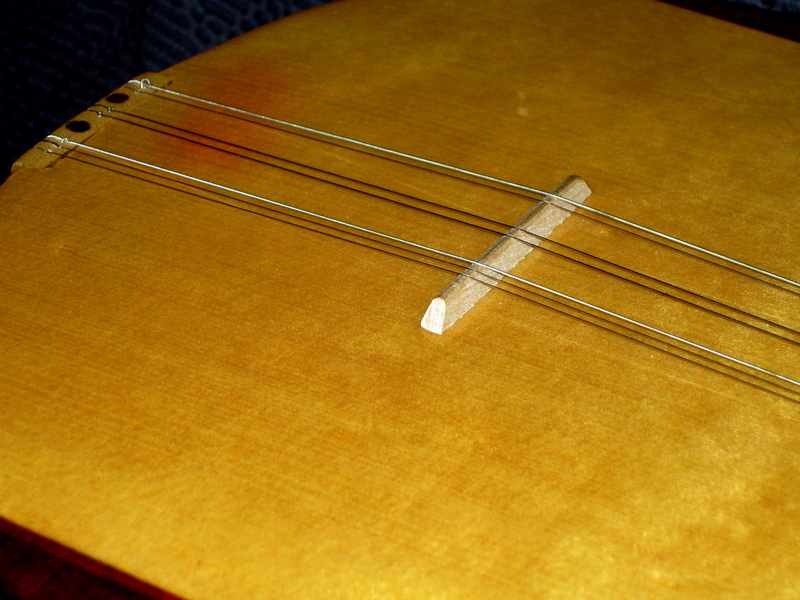 ”Low” means the place where the low-E-string would be in a guitar. 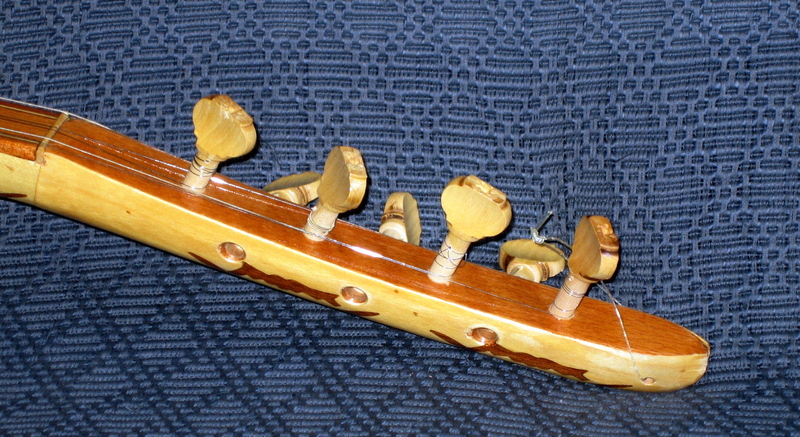 The tuners are simple wooden pegs. 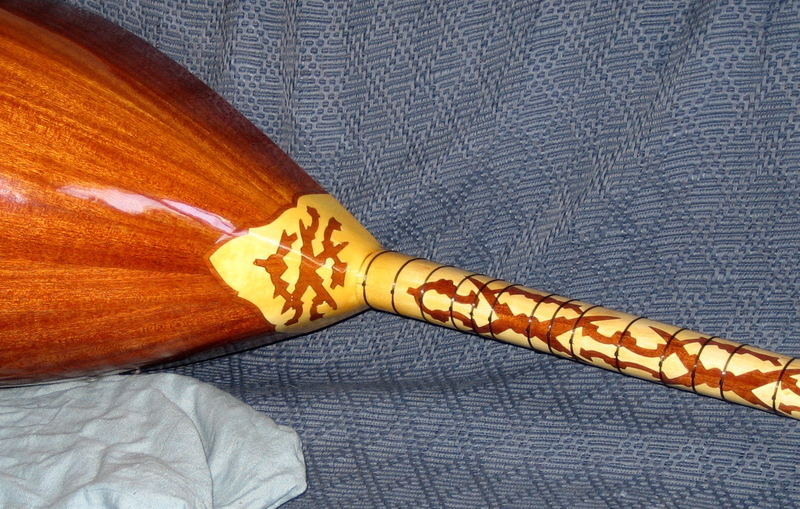 The top nut is a piece of maple. 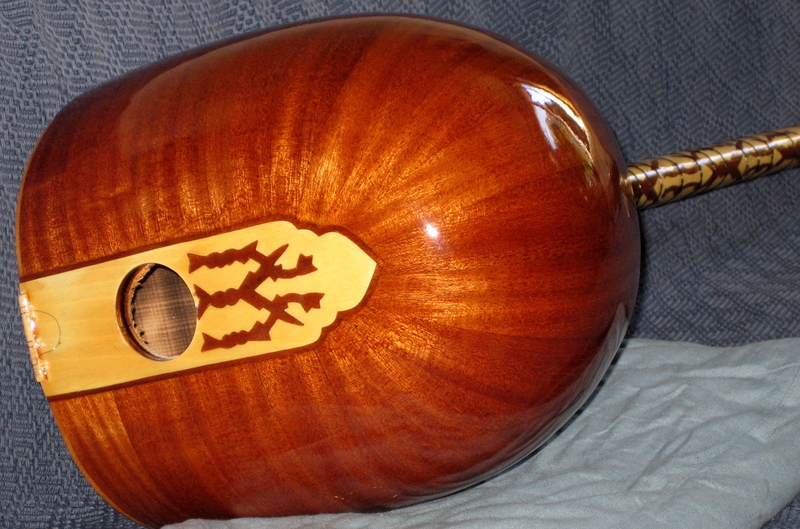 The bowl-back body has been crafted from multiple stripes of what looks like walnut. 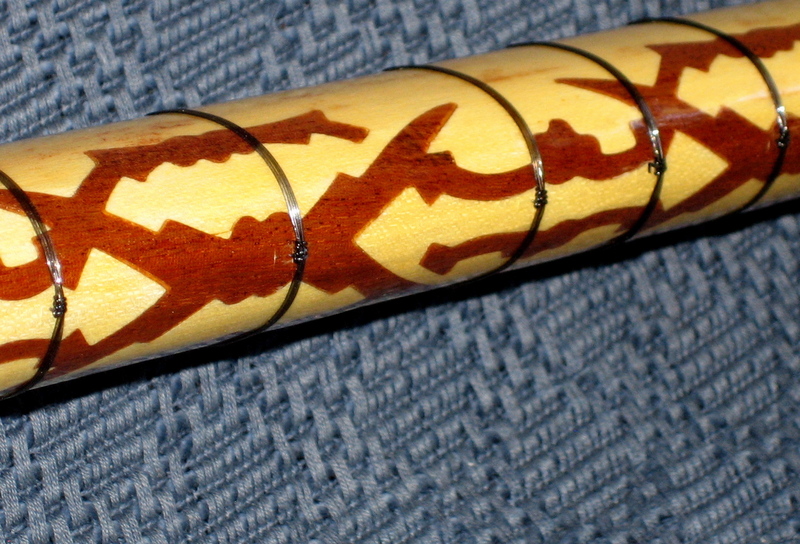 The neck joint is also beautifully inlaid. 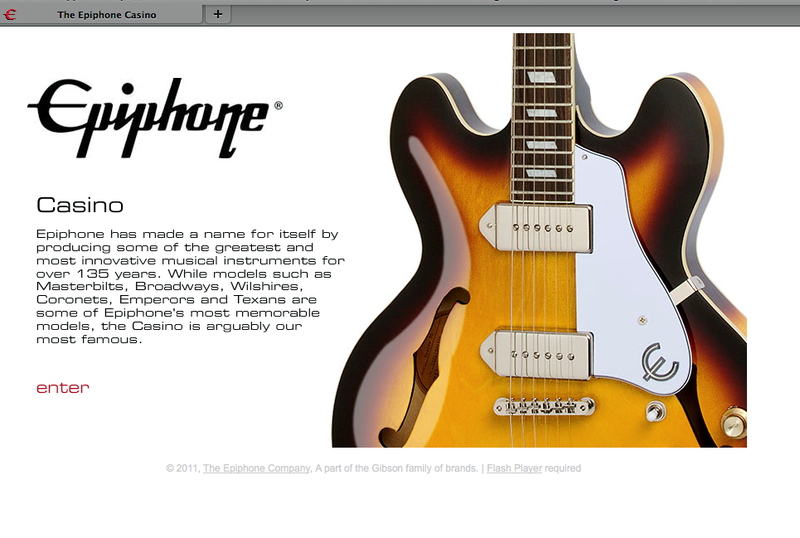 The maple bridge stands atop the solid spruce top. 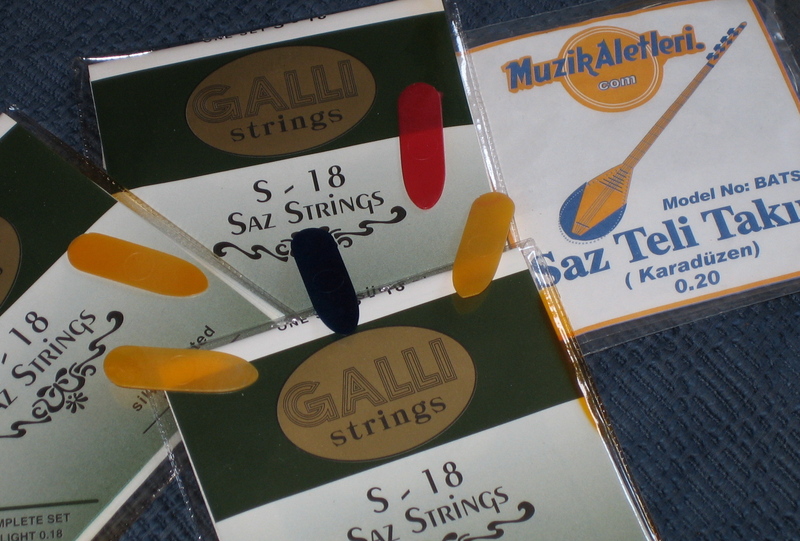 You pluck the saz with either your fingers or using colourful, soft plecks. 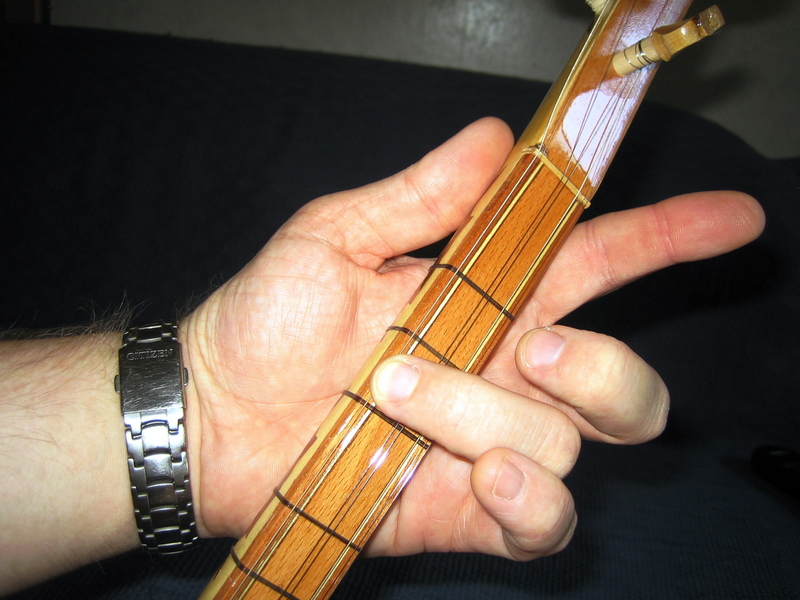 There are many known tunings for the baglama saz, depending upon the region where the players come from, the type of tune which is played, as well as the singer’s vocal range. 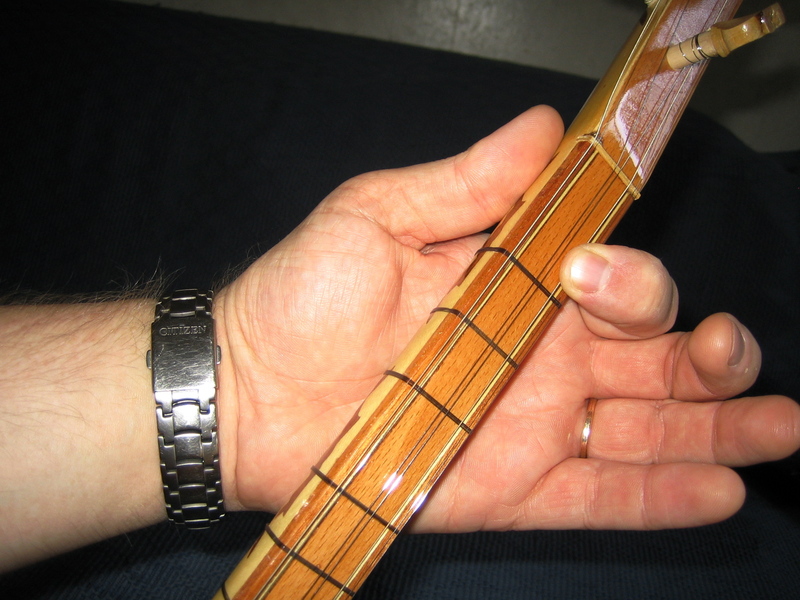 The use of personal tunings is standard practice. 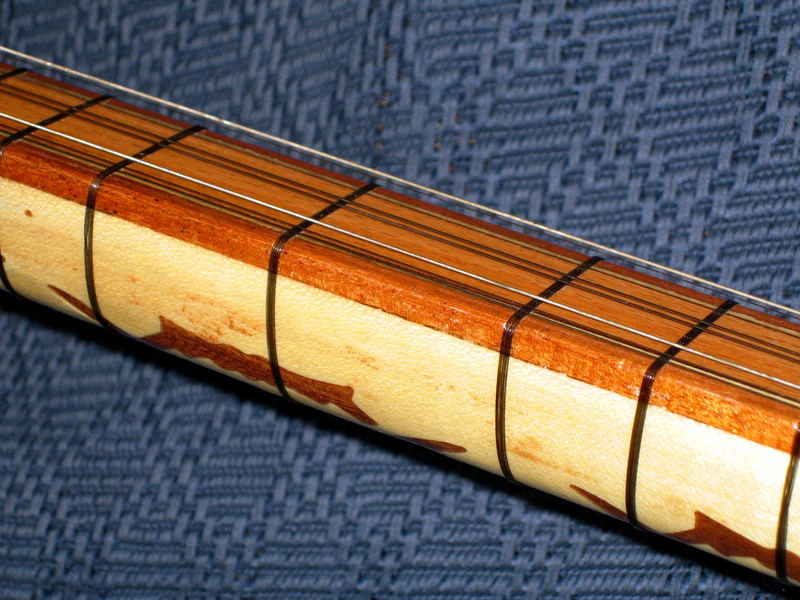 At first I used higher tunings, but recently I have settled on a relatively low, warm-sounding tuning of c-g-d. Using this tuning I can easily play scales atop tonic (C-major/-minor) ja dominant (G-major/-minor) drones. Here’s a link to a German specialist dealer. 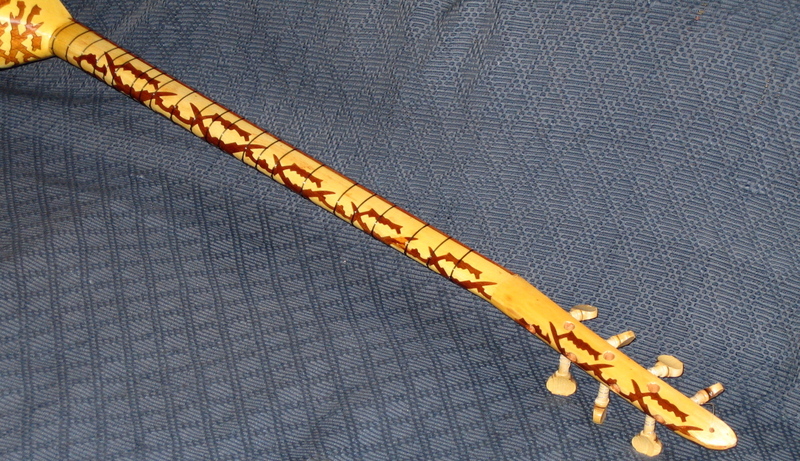 Here’s a link to a saz dealer in the USA.